Dental implants are replacement tooth roots. These are small titanium screws that integrate with the jawbone, becoming the foundation for new replacement teeth. Implants provide a strong foundation for fixed (permanent) or removable replacement teeth that are made to match your natural teeth. Dentaltree's trained implantologist offers you aesthetically beautiful and medically safe advanced solution to replace missing teeth. If you find yourself avoiding family and friends, photos with a full smile, first impressions, savoring food you love and feel troubled because of a missing tooth, our unique dental implant techniques and international standard implants offer the solution you have been searching for. Our team of experts advice the best treatment options and ensure high level of patient satisfaction in terms of esthetics, phonetics, and functionality. 1. Single tooth replacement by Implant. 2. Multiple teeth replacement by Implant. How much does an implant cost ? 1. The number of implants needed. 2. The type of replacement teeth desired. 3. Additional procedures that may be necessary to enhance the look and feel of your facial expressions. Show long will an implant last ? By using high-quality dental implants and components, your new tooth/teeth should last your lifetime. Is the implant procedure painful ? Are there age restrictions for receiving implants ? In principle, dental implants are suited for adult patients of almost any age. Implants are not for use on children or growing adolescents as implants would interfere with the growth of the jaw. Can I be allergic to dental implants ? Titanium allergy is very rare. You should discuss all allergies and medical conditions with your dentist. Are there quality differences between dental implant brands ? 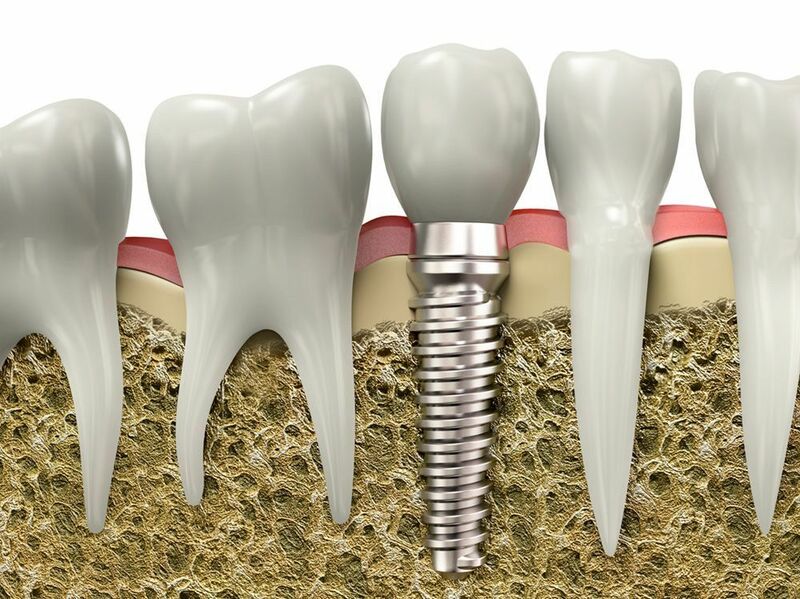 Dental implants range from low to very high quality. Factors that can impact quality include implant design, surface and shape. Can I chew and eat normally with my new tooth/teeth ? With your new implant-supported tooth/teeth, you will be able to eat, speak and smile with the utmost confidence, knowing they are strong and secure.